Kale and You (a post by Josh) – Eat Me. Drink Me. The CD player ekes out soothing notes to fill the room as you return from the grocery store – for some spices you’ve wanted to get anyway. You take off your coat, turn on the stove light, and get ready to start the game of chopping, tossing, mixing, sautéing, baking, plating, and enjoying. 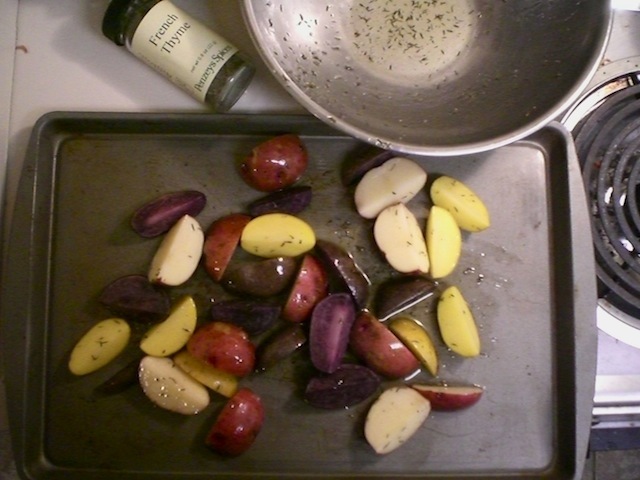 First it’s the potatoes – they have to get oiled up and herbed down so that they can sit in the oven for at least forty-five minutes. Then it’s the water for the pasta. You think, starches are always a good thing for dinners. Not always, but for big parties, for sure. Next it’s the kale. You pull out the new cookbook your grandmother thoughtfully gave you for Christmas. Normally you don’t follow recipes, but tonight you think it has to be special. 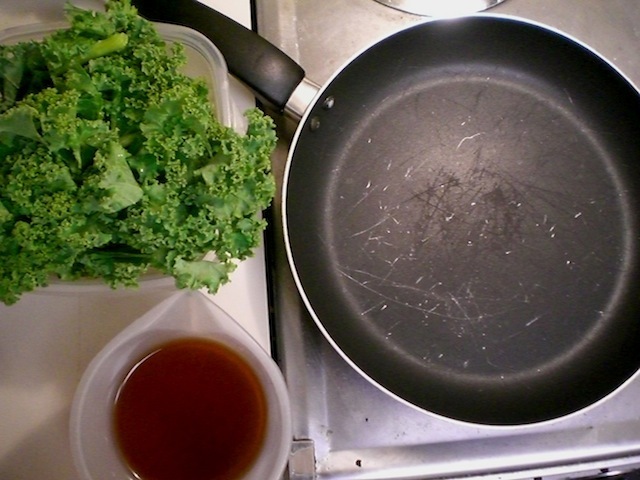 You follow directions for the kale, with some vegetable stock and salt. It’s a vegan recipe but you want to add a little flavor, so you add some butter. The butter you got from the organic trade post too – Amish butter. You worry because it’s been five minutes over the recommended cooking time for the kale, but it smells good, and even better when your first friend shows up. With two baked sweet potatoes, too. You peel those while the kale simmers and soaks up the last of the broth and start to sauté some onions and garlic in with the sweet potatoes and kale. The salad is made by your first friend. 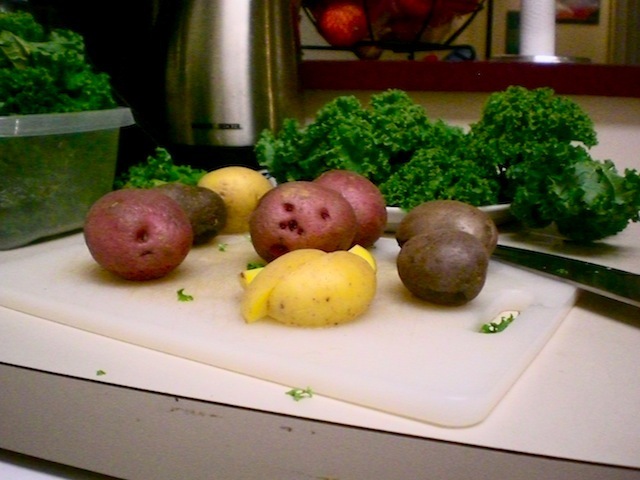 You check on the baking potatoes – they are emanating rosemary throughout the apartment. Your second friend, then third friend show up. They bring wine and cheese, respectively. You’re thankful that someone brought cheese, because you forgot to buy it. Your second friend opens the wine, pours four glasses, and moves the plates to the table. 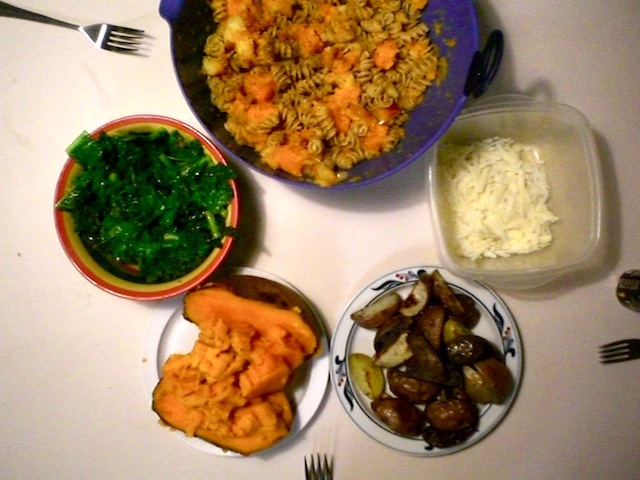 You put your pasta, al dente, into a bowl with some leftover sweet potatoes to keep a thread throughout all of the dishes (kale and sweet potato, sweet potato and pasta, herbed potatoes, salad). The table’s set. Your friends are eating, and you are enjoying having completed something worth having. Coffee’s on to brew, and the French press sits, waiting, eager to help eventually. wish we could have been there to have some. Sounds delicious!